‘SoulWorks: Living Your Soul Story’ Having the life you want … and being who you want to be. ‘SoulWorks’ is available on Amazon.co.uk (UK) and Amazon.com (USA) . StoryWorks is a practical handbook on how to tell stories. It ranges from classic tools like the ‘rule of threes’ to the new mnemonic ‘five finger technique’. These are illustrated with over seventy stories from around the world: some are traditional tales, others are modern fables. They are accompanied by creative exercises to expand your narrative and storytelling skills. When you have something to say, the best way to communicate is by telling a story. This book shows you how to do that effectively. Great writers know the power of narrative. Teachers and trainers use words as a tool for transformation. When you have a story to share or a novel to write, you’ll find material here to inspire, to inform and to entertain. If you’re a writer wanting to improve your skills, a coach or leader looking for new ideas, a teacher working with young people – this book will help you tell better stories. StoryWorks provides an invaluable source of inspiration, narrative material and practical skills. StoryWorks is available from Amazon.co.uk and Amazon.com (USA). Why did your life turn out this way? Who are the most important people in your world? What would you do differently, if you had the chance? LifeWorks is a practical handbook which combines insights from psychology and anthropology. It looks at how you compose your ‘life script’ – the story which you tell about yourself. This script influences how you behave and how you present yourself to other people. Stories from around the world have familiar characters: the princess, the hero, the good mother, the wise man. They are based on universal figures called archetypes. 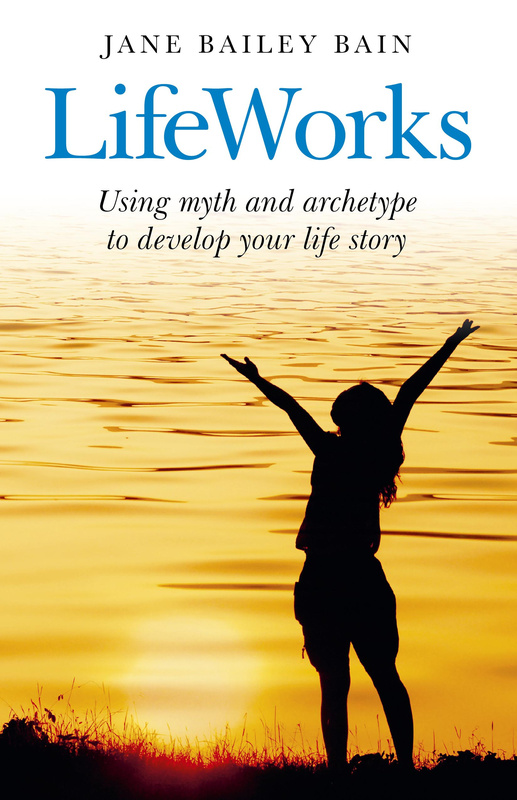 LifeWorks introduces the twelve basic archetypal figures, with examples from books and films. Each figure is illustrated with a story drawn from myths and folktales. Questions help you to identify roles and relationship patterns in your own life. These tools can also be used by writers for character development & plot analysis. Stories and practical tasks help you develop your own ‘personal mythology’. You are the author of your story, and play the principal part. Once you are aware of this, you can start to direct your own life script. LifeWorks is available on Amazon.co.uk and Amazon.com (USA). If you like this page, use the buttons below to Share on Facebook or Twitter.